Russian President Vladimir Putin has responded to official US claims that Moscow has been intervening in the upcoming presidential elections by saying that both Republican and Democratic candidates have been using him as a means to divert attention from more important issues such as the US economy and gun control. “It’s much simpler to distract people with so-called Russian hackers, spies, and agents of influence. Does anyone really think that Russia could influence the American people’s choice in any way? Is America a banana republic or what? 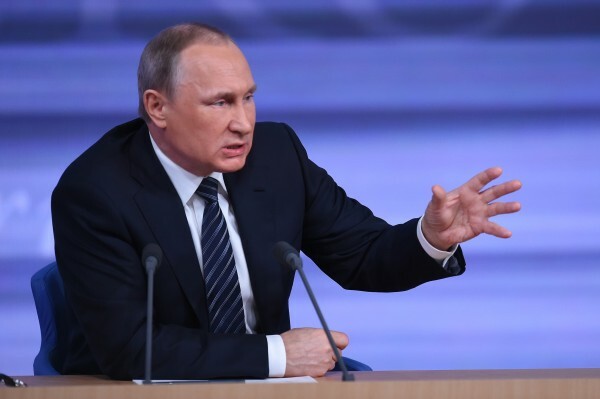 America is a great power,” Putin told a number of foreign policy experts during a meeting in the port city of Sochi in southern Russia on Thursday. Democrats in recent months have alleged that Putin favors Republican presidential candidate Donald Trump with some even accusing the latter of being a stooge for the Russians. Putin said this is a ridiculous assumption and added that Moscow does not favor either candidate. “If you look at the programmes of the different candidates, you get the feeling that they are all tailored in the same way, and that the differences between them are insignificant, and in reality there are no differences,” he added. But the Russian president went on to say that he is willing to work with whomever does become US president toward a peaceful and stable world. He said allegations that Moscow favored Trump over Democratic presidential candidate Hillary Clinton was just a way of manipulating people’s emotions ahead of the elections. But both the State Department and Secretary of State John Kerry insisted on Thursday that the intelligence they had of Russian cyberattacks on US election systems was solid. Kerry said that Russian meddling in the US election was designed to be disruptive and “annoying”. Relations between Russia and the US have recently been strained over their different approaches to resolving the crisis in Syria. The US has accused Russia and the Syrian government of targeting civilian areas in the besieged city of Aleppo while Moscow has accused Washington of failing to differentiate between so-called moderate rebels in the city and the Al-Qaeda affiliated Al Nusra Front. Clinton and Trump are nothing but a staged puppet show, heads and tails game funded by the same coin they appear on. There is a funny political cartoon I saw recently exposing this. I think they each suicided their own souls since childhood and what psychiatrists say have “fused” with their parental abusers, as well as other regressive and authoritarian, abusive groups, whose goals are always destructive when you see past their propaganda. A strange coincidence to me is that the masks of the “Isis” terrorists are exactly the same as the black hajib of the Islamic women. An abused, angry woman and her abused, angry male child, wear the same costume. I see Hillary Clinton Donald Trump in that identical costume in their puppet show, while the coin that pays them both is a parental stand-in, also a puppet of his past. To bomb women, children, families, countries, to make millions of innocents suffer for the denied pain of a few, is nothing new in human history, but in light of our 21st century understanding and progress, if it is not too late – and I do not believe it is – we can work on prevention of psychopathy so it doesn’t become the cancer we witness today.